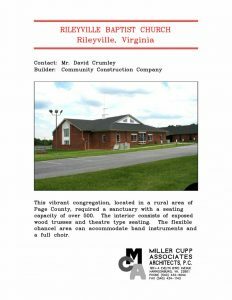 Rileyville Baptist Church – Miller Cupp Associates, Architects, P.C. 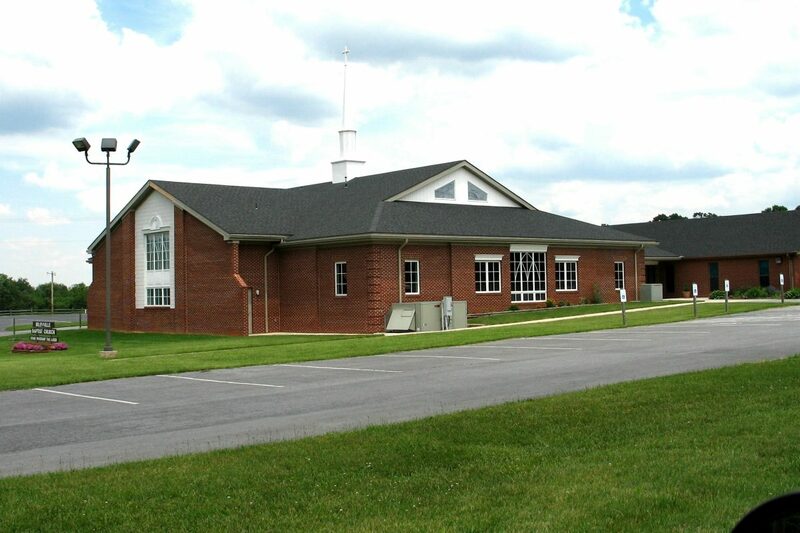 This vibrant congregation, located in a rural area of Page County, required a sanctuary with a seating capacity of over 500. The interior consists of exposed wood trusses and theatre type seating. The flexible chancel area can accommodate band instruments and a full choir.